Like many people this year I have chosen to completely ignore last year’s firm decision to quit buying all of my Christmas gifts from amazon, due to the sheer about of packaging they send over and their dubious ethics when it comes to tax here in the UK, and have instead, bought all of my Christmas gifts from amazon. I am, therefore, once again left cursing the packaging each time it arrives at my door, bemoaning the sheer waste of it all and secretly trying to work out how it is, exactly, they get away with all that tax avoidance. Could they somehow be laundering their money by posing as packing paper salesmen? Perhaps by hiding the purchase deep within the folds of a million miles of packing paper, a cartoonish concertina of boxes and enough bubble wrap to keep you busy for a week, they can later convincingly claim they never actually sent anything out and thus have no profits? But seriously, I understand how tax avoidance works – or at least I do now my dad explained the whole messy business to me over dinner last week and as there’s little I can do to recoup the UK’s tax losses. So I’ve decided to tackle the second of Amazon’s sins – the overly enthusiastic way they package their products. I was all too aware of this major flaw in amazon's design when I decided to shop there this year and having done so, now own enough cardboard boxes, air bags and packing paper to construct a tiny home for myself and go on to win Shed Of The Year 2017. Realising this, I decided to see amazons inability to gage the appropriate amount of packaging needed to protect their products as an opportunity. So here are a few ideas for ways to reuse the reams of packing material left over from your amazon purchases this Christmas! 1. Build A Fort – the best forts are Christmas forts. Make your own fort from the mountains of boxes amazon kindly donated to the project. Enlist some friends, some alcohol and some fairy lights. Fill with cushions and blankets and before you know it, you might even be grateful to the fools who sent your key ring in eighteen different boxes, for the window sills you’d otherwise have been unable to construct so symmetrically. 2. 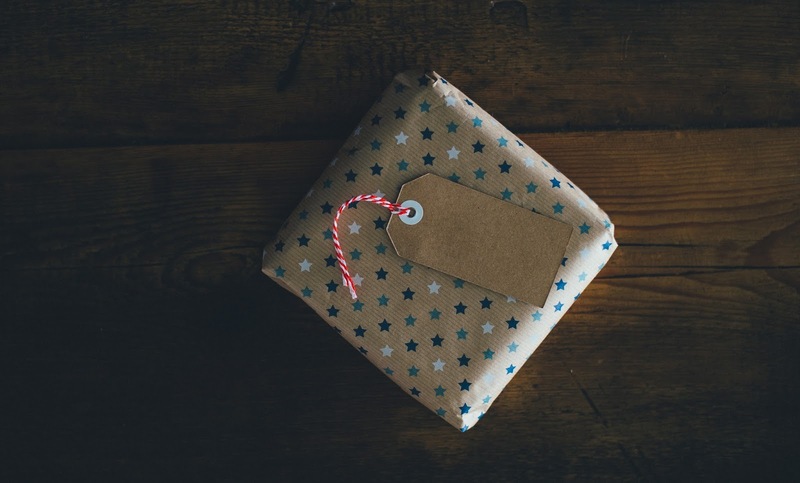 Wrap Your Gifts…again – brown paper wrapping can be really effective and when teamed with the right tags and accessories will look unique and creative for friends and family. The packing paper amazon revels in filling their boxes with is the perfect stand in for brown paper and no one need know you simply re-wrapped their gifts in the paper amazon sent them over in. 3. Fool Your Friends – who hasn’t loved the idea of concertina boxed presents since childhood? The present turns up, it’s huge, the biggest by far, but as the wrapping is removed another box is revealed Then another, and another...until a pretty average, pretty small present is finally unveiled. If anything, this is gift giving a la amazon and if the commercial giants see merit in it, they must be on to something...right? 4. Insulate Your Home – no kidding, cardboard is a great insulator, so why not make the most of the mecca? Line your loft spaces and any cupboards or cavities with the cardboard amazon has so kindly bestowed upon you and get settled in for a cosy winter. You can even use the packing paper to stuff areas in the loft, but be careful not to damage your existing layer of insulation whilst doing so. 5. Send It All Back – this might just be my personal favourite. Visibility wise, this stunt would be much more effective than simply ceasing to shop at amazon. If we all saved the excess packaging (recycling anything we deem truly necessary – which will amount to relatively little) and then reassembled the boxes within the boxes, tucked in the airbags to keep everything in tact. Along with all that extra packing paper, that I guess is there just to make things interesting, before shipping them right back to amazon HQ on Christmas day, wouldn’t it be wonderful? I’d certainly enjoy my sprouts a hell of a lot more! Plus, the overall effect would have to give amazon pause for thought when packing our purchases in future. Amazon may be a convenient service, and even more so when it comes to Christmas, but I am still having trouble reconciling myself to their gluttonous wastage of our planets resources and dislike the idea that the tax I pay when purchasing their products does not make it back into my countries coffers. Next year, I will make the concerted effort needed to kick my amazon habit but, for now, by reusing the packaging where ever possible, I can at least try to put their wastage to good use. Let me know of any bright ideas you have for recycling the annual amazon haul in the comments section! I keep myself busy with my small business; The Loft Gifts, the period poverty charity I run; The Crimson Wave, writing here and for vaious platforms and a growing menagerie of household pets. Wake Up Tired Skin, with The Coffee Scrub Co.